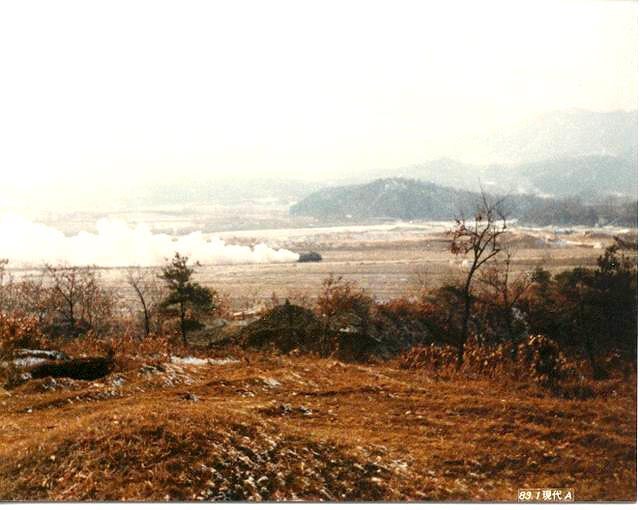 Photo sent in by "Brian Schmidt"
An APC moves across the Chorwan Valley popping smoke along the way. The surrounding area is obscured by smoke. Supposingly making it hard for enemy aircraft of the time, to identify targets.